DETROIT -- Frank Ewasyshyn, Chrysler's veteran manufacturing chief, will retire at the end of 2009. He will be replaced by Scott Garberding, who has been interim head of manufacturing since Ewasyshyn, 57, took medical leave several months ago. Ewasyshyn has since made a full recovery, Chrysler said in a statement Thursday. Ewasyshyn's retirement also means that Dan Knott, who had been appointed interim head of purchasing while Garberding, 45, filled in for Ewasyshyn, will officially become head of purchasing. “The company is grateful for Frank's extraordinary contributions in leading Chrysler's manufacturing organization over the years,” said Sergio Marchionne, Chrysler Group CEO. Ewasyshyn, a native of Windsor, Ontario, joined Chrysler in 1976 as a maintenance foreman and worked his way up through the company. He was named executive vice president of manufacturing for the former DaimlerChrysler in 2004. 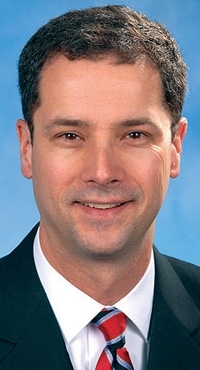 Garberding joined Chrysler in 1993 and has held a number of senior jobs in manufacturing and purchasing. He was named head of purchasing in 2008 and held that job until being named interim head of manufacturing in September. Knott, 49, joined Chrysler in 1988 as a senior engineer of air and fuel systems and was head of vehicle engineering for A and B segment vehicles before assuming the title of interim purchasing chief in September.